Our OPPO F11 Pro Unboxing showcases consistently pleasing hardware design, particularly with the gradient finish. 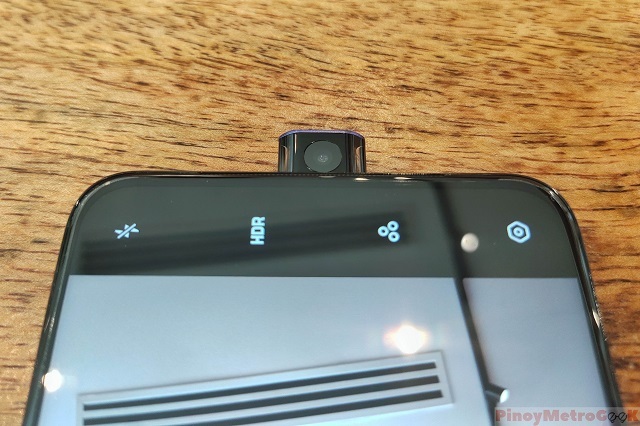 Likewise, integrating the pop-up camera in the middle of the device is such a no non-sense decision for the brand's aesthetics. Last year we said that the OPPO F series line of smartphones has ripen in terms of design and selfie capabilities. This year, OPPO F11 Pro continues the series with a bold move in the company's design philosophy. In OPPO's quest to eliminate the notch and literally push bezel boundaries, the OPPO F11 Pro seems to be a great posterboy for an all-screen smarthphone. 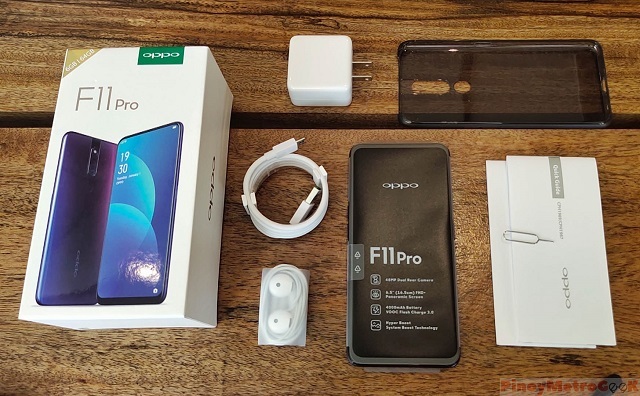 Join us as we do the OPPO F11 Pro unboxing and hands-on impressions. 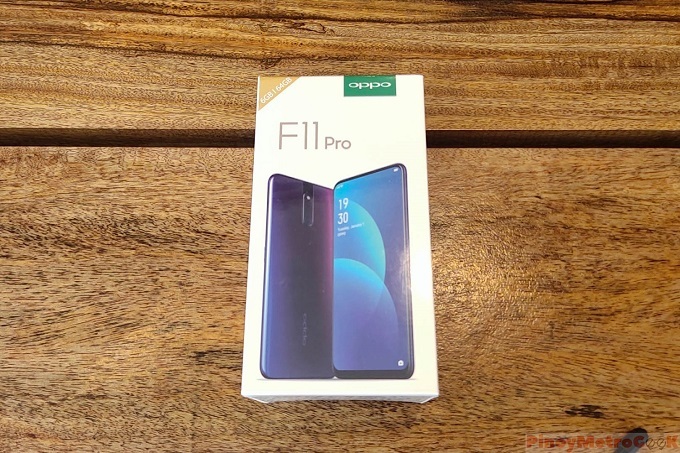 The OPPO F11 Pro may have the same conventional box, however, the inside promises a whole new experience in using an OPPO mid-range smartphone. The box comes with a smaller box that houses the case, and a bunch of documentations and guides. On the under surface of the small white box, the pin ejector is in its usual hiding place. 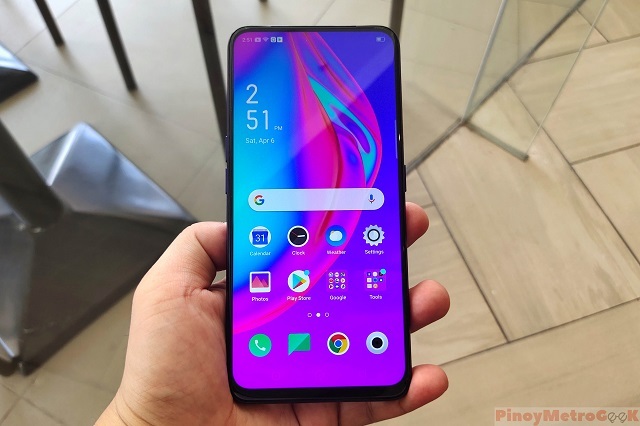 Furthermore, the OPPO F11 Pro main unit that's wrapped in plastic will greet you once you get the paper divider out of the way. We got the Thunder Black variant which resembles a twilight sky full of thunder clouds in its blackish violet appeal. On top of that, you'll also get the usual headphones, the microUSB cable, and the power adapter. Coming from a Vivo V15 Pro, the OPPO F11 Pro has a boxy appeal. There's a specific heft on the handset due to its bigger 6.5-inch display and 4000 mAh battery. Aside from that, the OPPO F11 Pro is such a beaut. OPPO has perfected the gradient finish technology giving a classy and elegant look to the black hue. 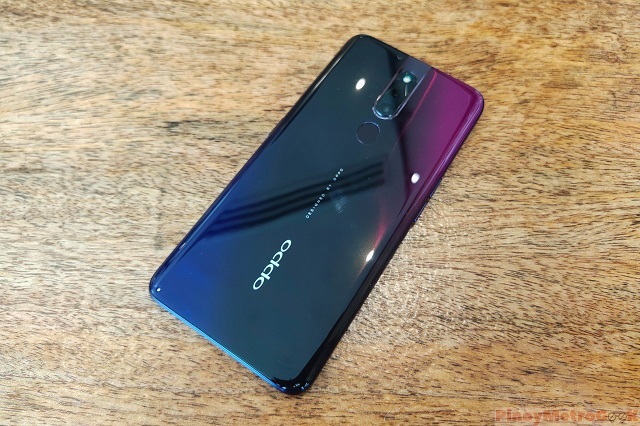 OPPO F11 Pro features the company's first elevating pop-up camera and brilliant low-light portraits in a very convincing price point. Despite a thinner bezel, the chin could be a tad thicker than the rest of the bezels but it's nothing to be worried about. There's a 16MP pop-up camera in the middle of the top side. It gives the handset a rather symmetrical design in contrast to its rival, the Vivo V15 Pro. On the right side, there's the power button which comes with a green accent, and the SIM tray. The left side is a home to the volume rocker. On the bottom side, it houses the 3.5-mm jack, microphone, microUSB port, and the speaker grill. The OPPO F11 Pro features a dual-camera set-up and the LED flash at the back panel. The OPPO branding is now vertically laid out collinearly beside the "Designed by OPPO" inscriptions, just below the fingerprint sensor. The design feels premium overall, it may be plastic but this definitely feels like its on the classy side. 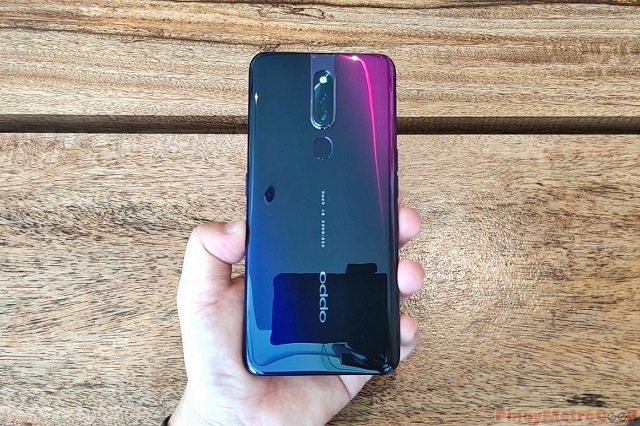 I am excited to take the OPPO F11 Pro for a spin knowing that it comes with an all new flagship MediaTek chipset and a powerful set of rear cameras. Our OPPO F11 Pro Unboxing showcases consistently pleasing hardware design, particularly with the gradient finish. Likewise, integrating the pop-up camera in the middle of the device is such a no non-sense decision for the brand's aesthetics. I can't wait to share our review soon!